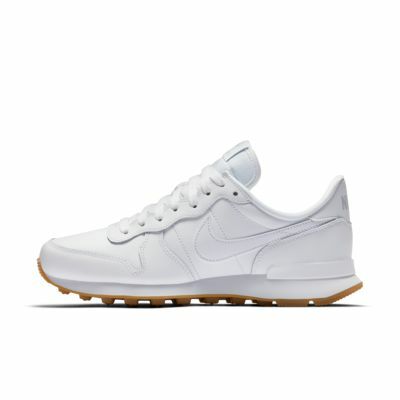 The Nike Internationalist Women's Shoe has an iconic look inspired by retro Nike running styles. The combination upper has leather overlays for durable comfort and a premium finish. The Nike Internationalist Women&apos;s Shoe has an iconic look inspired by retro Nike running styles. The combination upper has leather overlays for durable comfort and a premium finish. Fantastic trainers just very slippery. I love these trainers. They look great and are super comfy besides going with lots of different casual outfits (I have the black pair), but I have to agree with the other reviews. The soles are weirdly slippery. Ive had issues walking in them on wet floor or even dry stone flooring. My boyfriend and I even call them the slippy shoes its so bad. Its really surprising as they have deep tread on the bottom but the material of them is what makes them slippy. Its a shame as they are really nice besides this. I wear a size 8 and they fit perfectly. Wasn't expecting them to be super comfy but they are! I love them am planning on getting another pair especially cos they are on sale! Love the black and white colorway.